Cannot be Special Summoned. 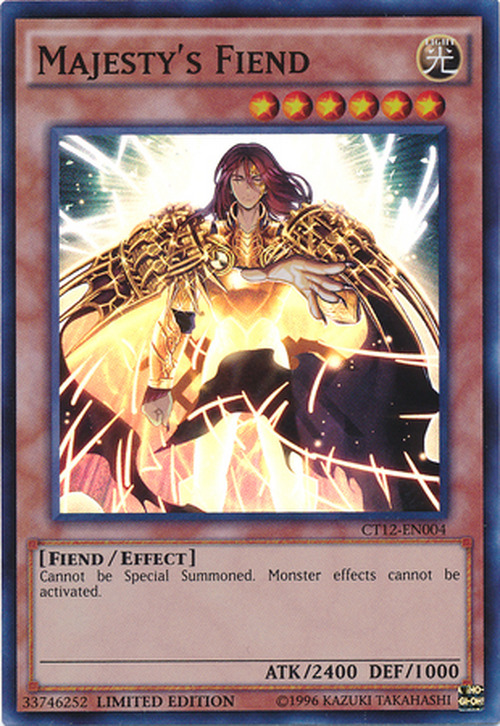 Monster effects cannot be activated. The card may be a counterpart of Vanity's Fiend. This is evidenced by the fact that they are both Level 6 Fiend-Type monsters with 2400 ATK that cannot be Special Summoned, and both of their Japanese names include the word (devil").